Not every label application is suited to a fully automated system. That’s why FOX IV also offers a wide range of table top and portable label printers. Whether you are manually applying shipping labels, printing pick tickets, labeling vials or re-labeling goods, FOX IV can help. for hand-labeling applications and low volume labeling. Because we partner with all of the top label printer manufacturers, FOX IV is able to provide the perfect table top or portable label printer to suit your needs. 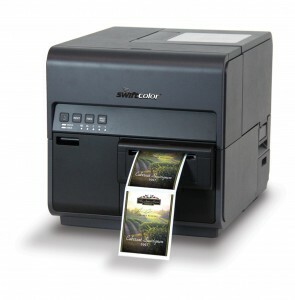 For color labeling applications, such as GHS, beer and wine bottles, gourmet product package labels and more, FOX IV provides the SCL-4000 digital color label printer. In addition to industrial table top printers, FOX IV can supply OEM print engine modules from Zebra, SATO, Datamax-O’neil and Avery-Dennison for back-up and upgrading purposes. Ask us about our Label Printer Start Up Packages!